An X-Ray is an important diagnostic tool when Pinehurst, North Carolina area residents sustain an injury or suffer other symptoms. 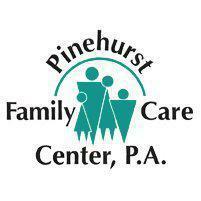 Digital X-rays can be taken on-site, allowing the doctors at Pinehurst Family Care Center, P.A. to analyze them promptly to assist with diagnosis and treatment. A digital x-ray is a type of x-ray image that uses digital x-ray sensors in place of photographic film. Because the digital x-ray completely skips chemical processing, it is far faster than the film x-ray. The x-ray images are processed right away so that the doctor is able to view and analyze the results immediately. What Are the Advantages of Digital X-Ray? Since the images are digital, the doctor will have the option of enhancing those images to see the area even more clearly. For example, the doctor can brighten the image or alter the contrast to see better, which is something that would not be possible on a film x-ray. Digital x-rays can be digitally archived, making it easy to store the images on a computer. Finally, digital X-rays can be easily transmitted to a Radiologist for a second opinion, or over-read, which is routinely done by the providers at Pinehurst Family Care Center, P.A. for quality assurance. What is Film X-Ray Imaging? A film x-ray is a common kind of diagnostic test and is a much older type of technology than the digital x-ray. While a film x-ray can provide clear and detailed images, it takes some time to process since it uses standard photographic film. What Are Common Areas Analyzed in a Digital X-Ray? A digital x-ray can give the doctor an excellent view of nearly any part of the body. Any bones or organs can be clearly seen on a digital x-ray. The heart, lungs, spinal column, and sinuses are all areas that may be commonly analyzed via digital x-ray along with the bones and soft tissues of the extremities.